Emory University raised more than $250 million in gifts and commitments in fiscal year 2015, marking the third year in a row that annual philanthropic support for the university exceeded $200 million. The trend represents a 17 percent increase in giving to Emory over the previous year, and demonstrates significant, ongoing support for the university's mission since the close of the $1.7 billion Campaign Emory in 2013. "The Emory community continues to remind us how much they value the important work we do," says Susan Cruse, senior vice president for development and alumni relations. "This year more than 35,000 generous supporters made gifts or commitments to Emory, adding $52 million to the endowment and helping us to make a significant, sustainable impact for years to come." 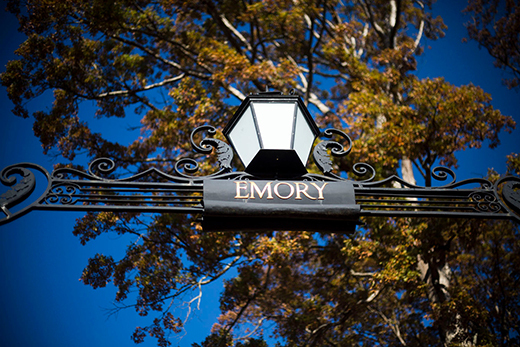 In addition to endowed gifts, Emory received more than $190 million for current initiatives, resulting in immediate support for the university's academic and research programs. John Morgan, chair of the Emory Board of Trustees, emphasized the critical importance of philanthropic support in advancing the university's strategic priorities. "Emory's continued prominence as a leading national university is thanks to the ongoing, significant investment that people make in supporting our outstanding faculty, students and researchers," says Morgan. "The knowledge that is created at Emory is being applied in the service of humanity, and our donors share our commitment to this vision and mission." Major gifts for this fiscal year supported virtually all aspects of the university's academic and research programs: Emory Medicine's transformational innovations in brain health raised more than $55 million, including a $25 million gift from the Goizueta Foundation for the Alzheimer's Disease Research Center; $15.7 million from the Wounded Warrior Project for the Emory Veterans Program; and a $6 million endowment for the Department of Neurology from the O. Wayne Rollins Foundation. Other significant gifts included $6 million for the Stuart A. Rose Manuscript, Archives, and Rare Book Library. Emory's Scholarship Endowment Initiative is a top priority for the university, helping to attract and support talented students regardless of their financial circumstances. Since 2013, more than $135 million has been donated to this effort. In Emory College of Arts and Sciences, a scholarship match established at the conclusion of Campaign Emory continues to stimulate support for undergraduate scholarships. Four gifts from alumni met the 2-to-1 match, which resulted in more than $3 million in scholarship support for the college. An additional $4 million funded scholarships and graduate education at Oxford College, the Candler School of Theology, the Laney Graduate School and the Emory School of Law. "Top scholars and students are at the core of a great university," says Morgan. "Emory's generous benefactors enable us to recruit the best and brightest students, and to retain outstanding faculty, so they can flourish and contribute to our university community and to society."